Get the recognition you deserve on graduation day for all the hard work you've invested in your chapter and promoting mental health awareness on your campus. Makes a great gift for graduating chapter members! 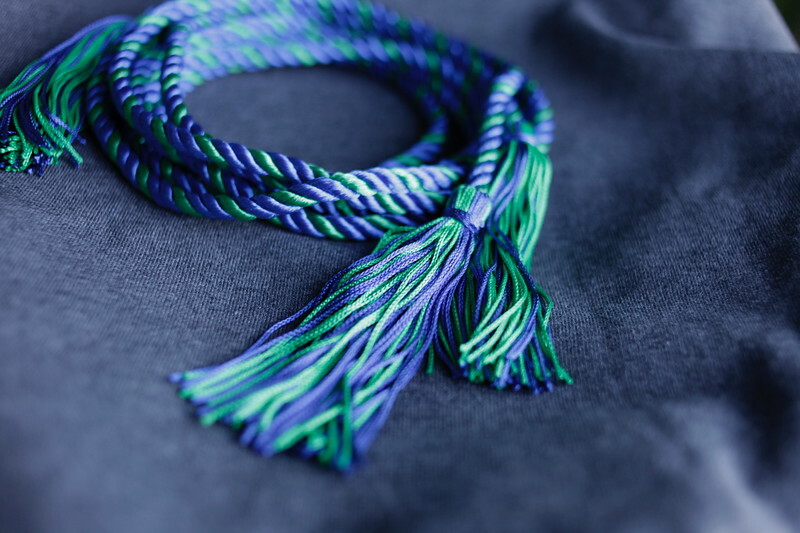 Blue and green intertwined 54" cord. This 6-foot tablecloth is a great addition for your chapter - enabling you to quickly advertise whenever and wherever you table for events! 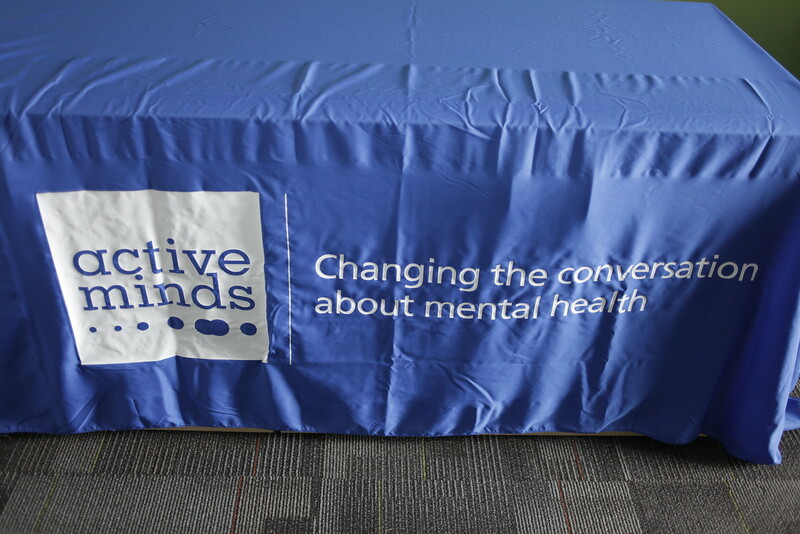 This tablecloth features the Active Minds logo in white on a blue tablecloth. 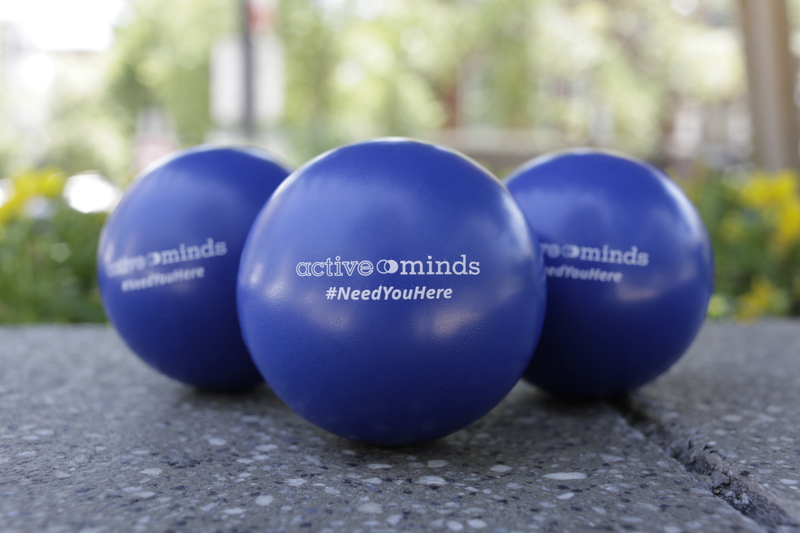 This blue stress ball is imprinted with #NeedYouHere on the front. Makes a great gift for chapter members, friends, and anyone who needs to relieve a bit of stress in their life! 2.75" in diameter. Keep your keys and ID handy with this lanyard that carries a message. How to Help A Friend Brochure. 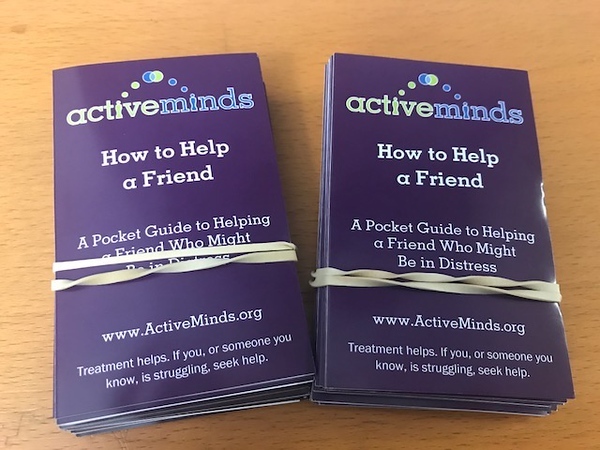 A pocket guide to helping a friend who might be in distress. Lists action plans and resources you could use. Sold in packs of 25. 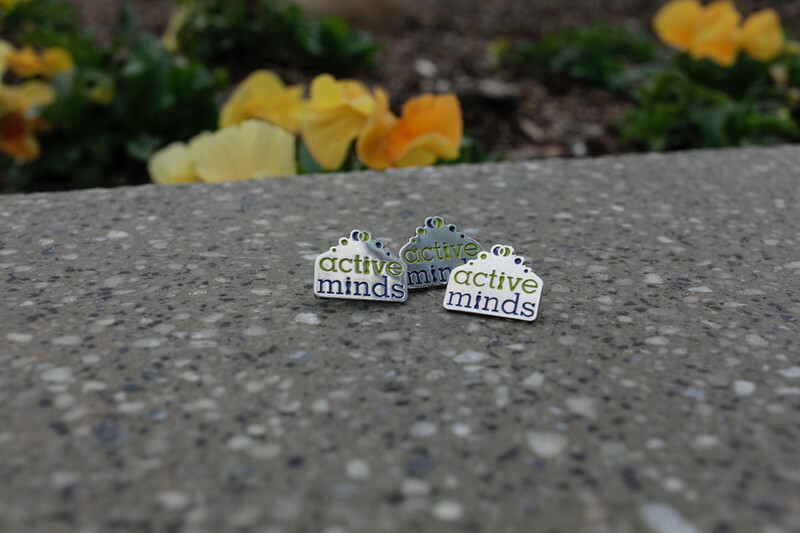 Show your support for Active Minds by wearing this lapel pin! Great for pinning to shirts, jackets, graduation robes, and backpacks.The pin measures .3/4" and features a sharpened metal post and fastener. This black t-shirt with the new Active Minds Logo is a staple for any Active Minds supporter! 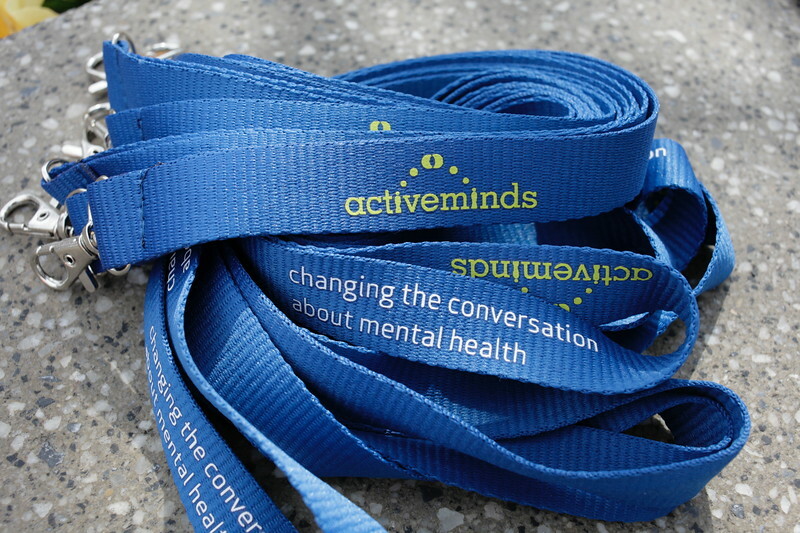 Promote the Active Minds message and encourage others to listen, talk, and reach out. 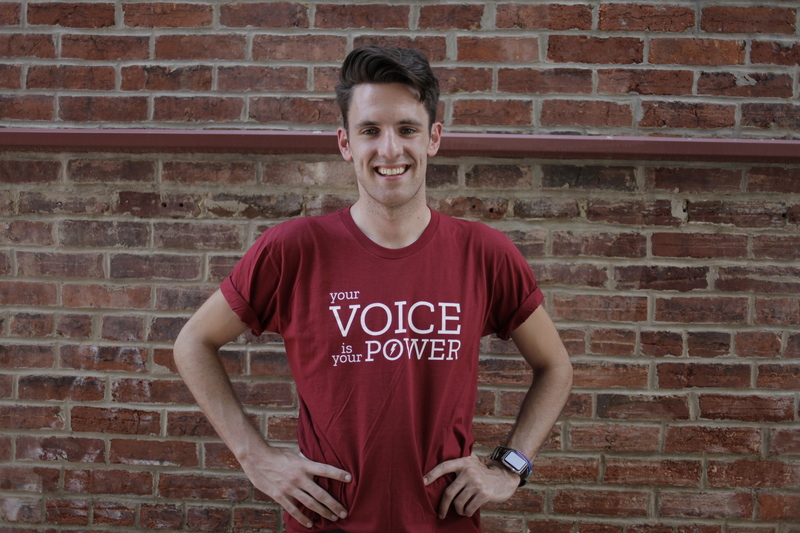 Show your support for Active Minds by adding this T-Shirt to your wardrobe. 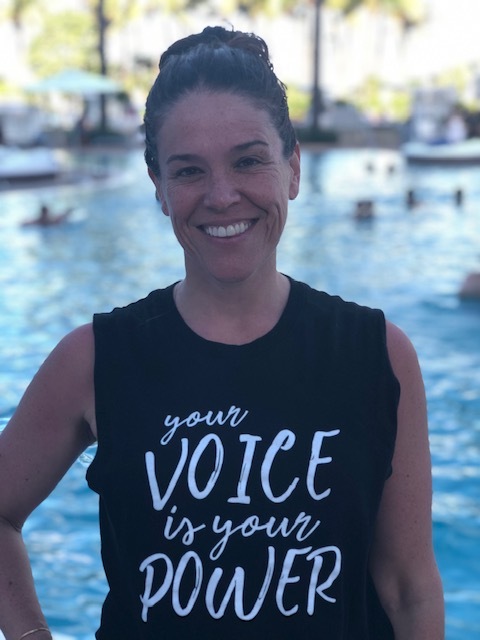 This classy design features a powerful message "Your Voice Is Your Power" on the front, a beautiful message "The World Needs You Here" printed on the tag and Active Minds Logo at the Back. 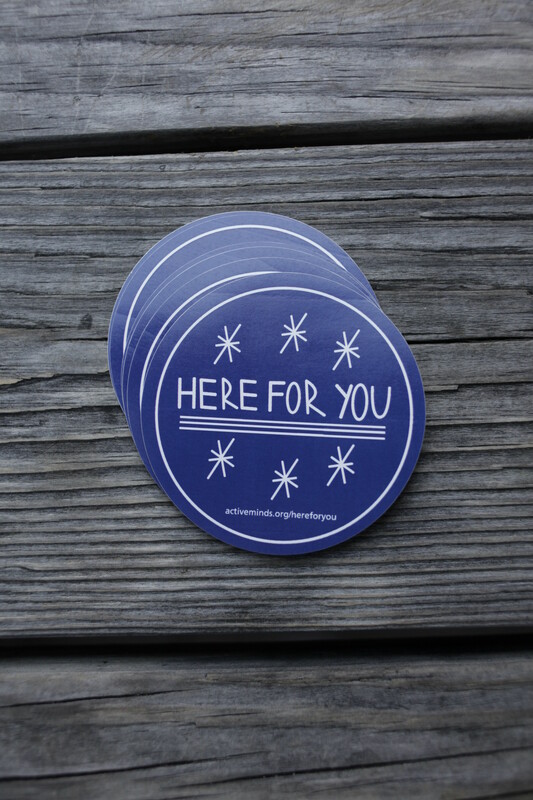 The "Here For You" Blue sticker lets everyone know they're not alone! The 3" x 3" vinyl circle sticker is perfect for your laptop, water bottle, notebook, and more. 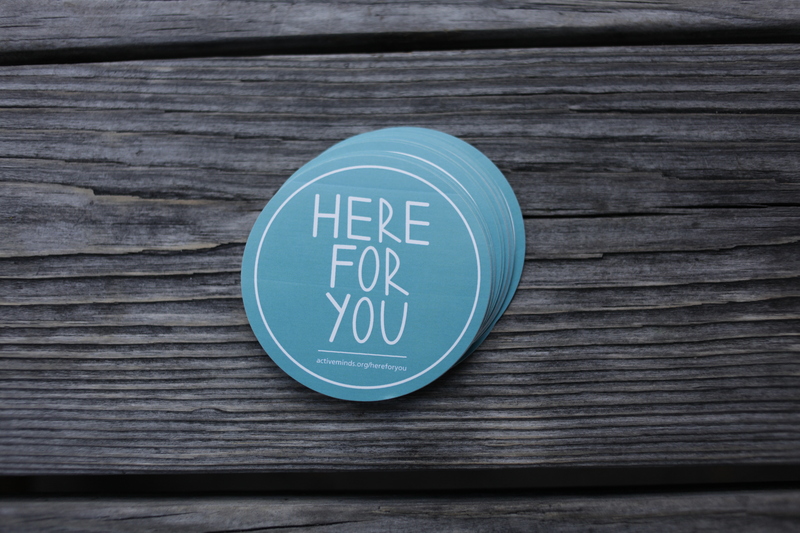 The "Here For You" Teal sticker lets everyone know they're not alone! 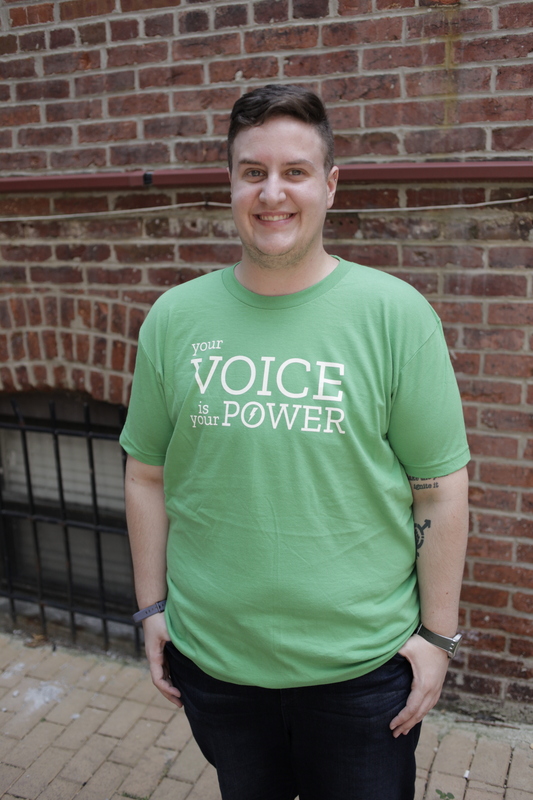 Want to change the conversation around mental health? 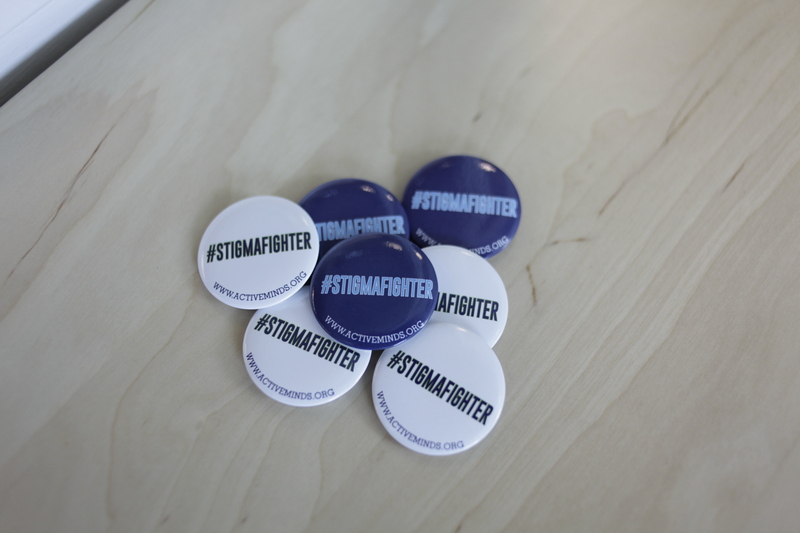 It starts with fighting stigma. 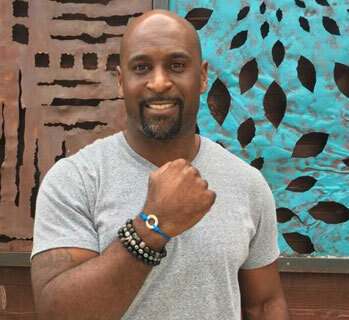 Add the button to your book bag or favorite tee, or share with friends to bring more people into your mission. Say it loud, say it proud! 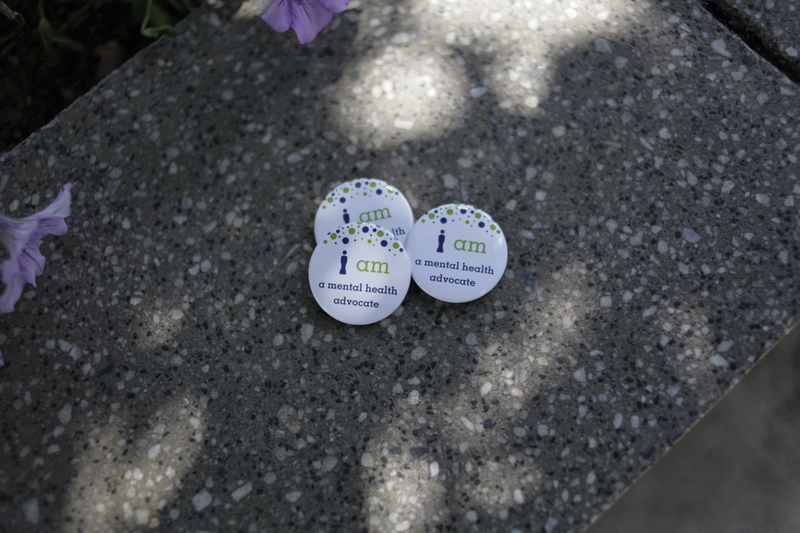 These buttons are a great way to start a conversation and let people know you’re on a mission. Put one on your book bag or your favorite t-shirt or show them off at a tabling event. 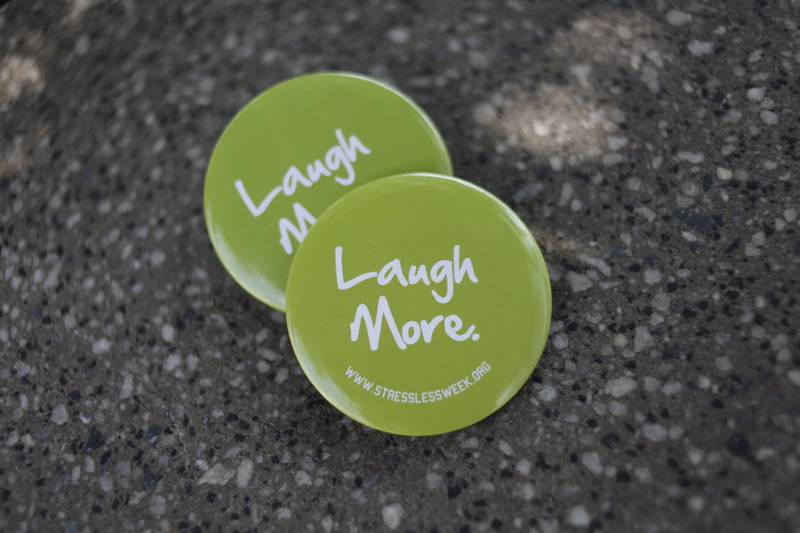 These ever popular buttons are a fun way to spread a message everyone can appreciate. 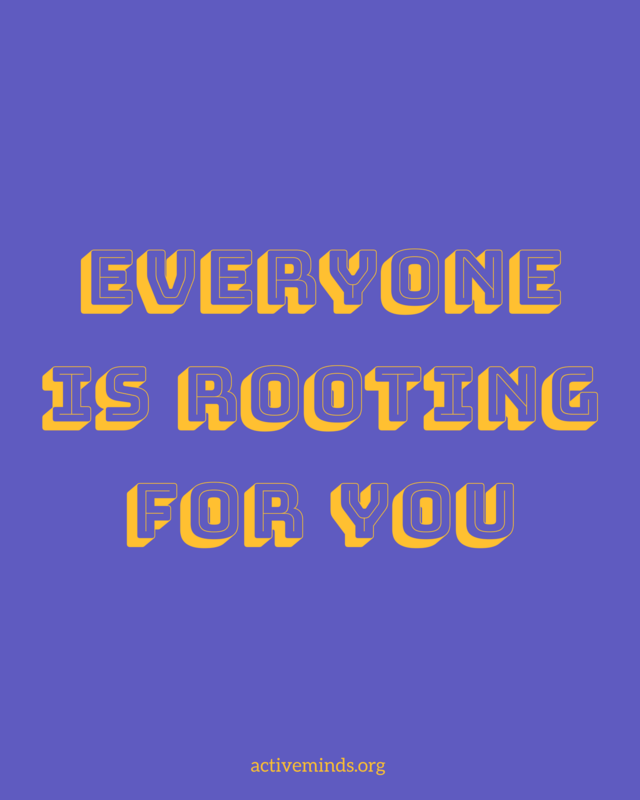 Spread the positivity! Let people know you care and that you’ll listen. 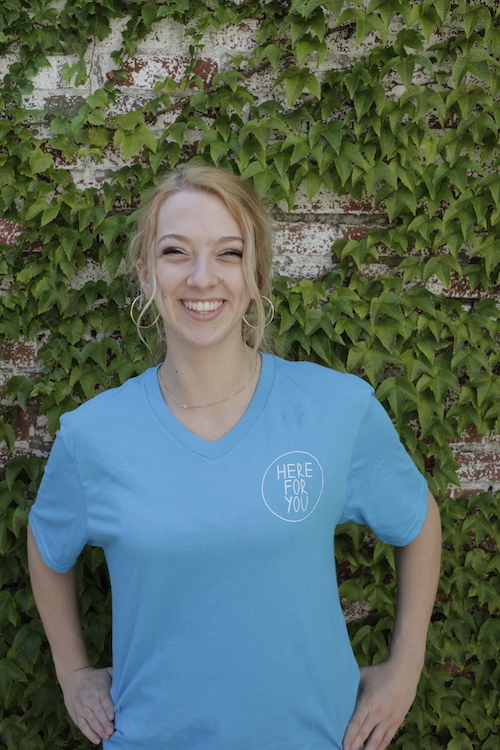 Wear a HereForYou button on your favorite tee, decorate your backpack, or give abutton to someone you care about. Join the movement! Let people know you care and that you’ll listen. 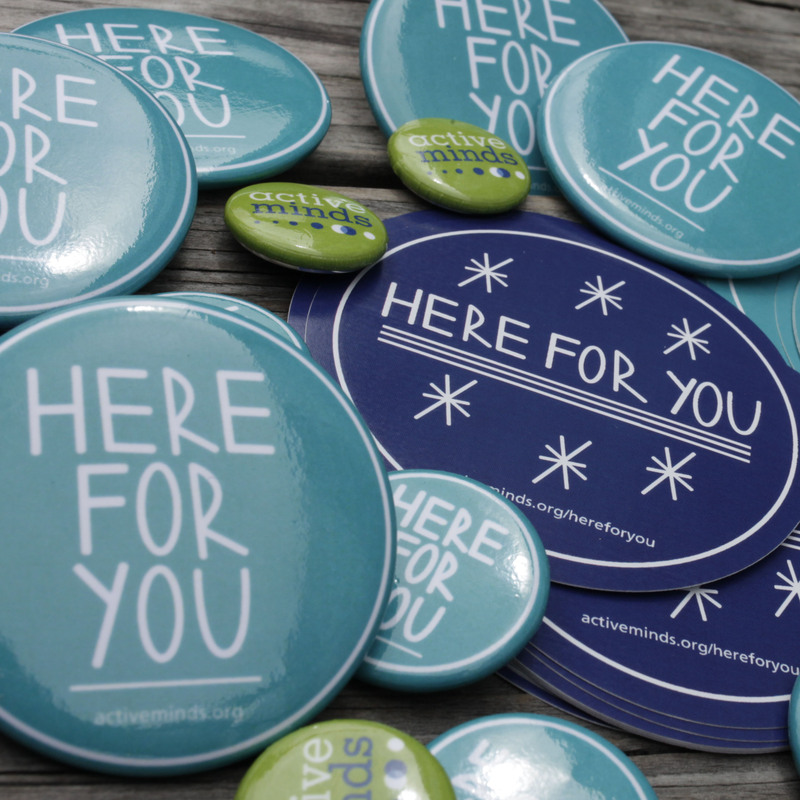 Wear a HereForYou button on your favorite tee, decorate your backpack, or give a button/sticker to someone you care about. Join the movement! V-A-R cards, a 3.5" x 2" Business Cards in set of 50. You never know when you might find yourself in a situation when a conversation could make a difference. 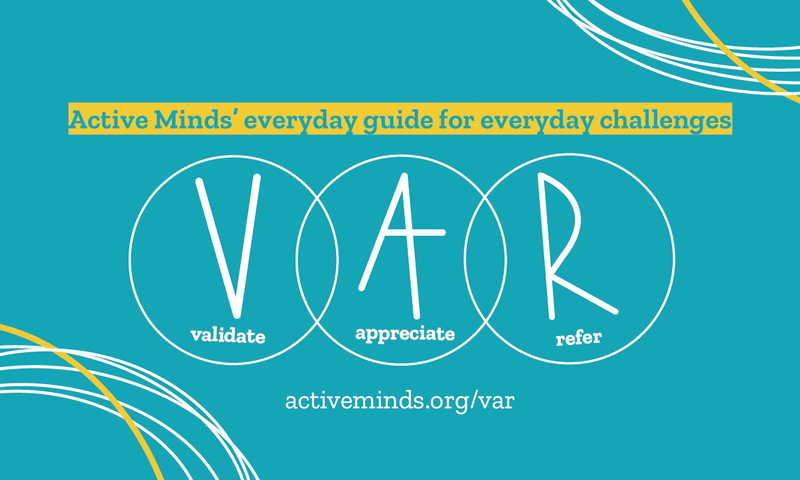 Purchase a bundle of 50 shrink-wrapped V-A-R wallet cards to keep the Validate-Appreciate-Refer steps with you at all times and distribute as many copies of the card as you want! Let people know you care and that you’ll listen. 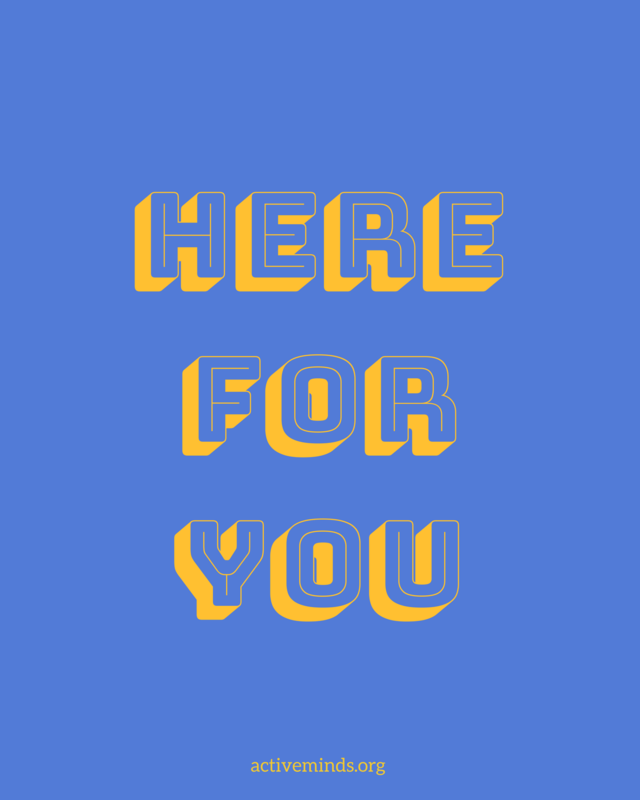 Wear a HereForYou t-shirt, or give a t-shirt to someone you care about. Join the movement! 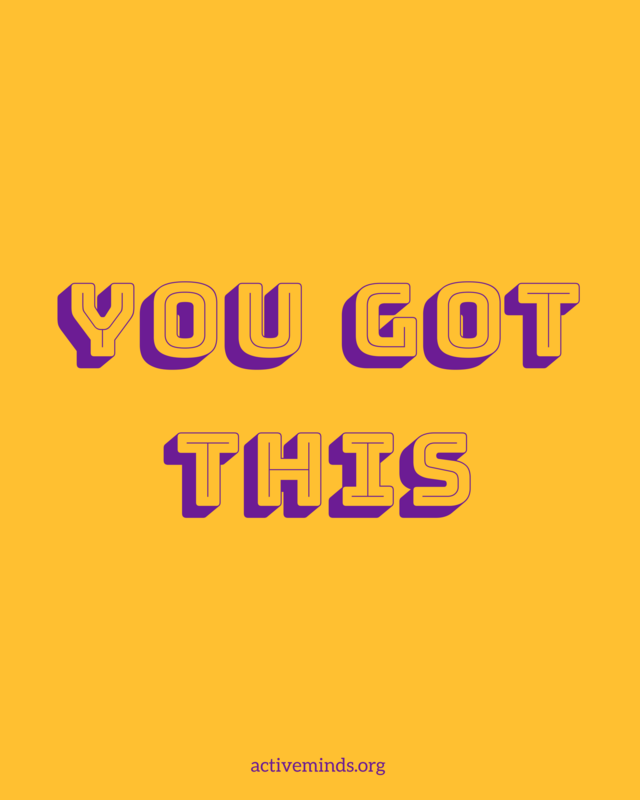 Ever wanted to cover every square inch of your dorm room, office, etc in inspirational messages? Well now you can! 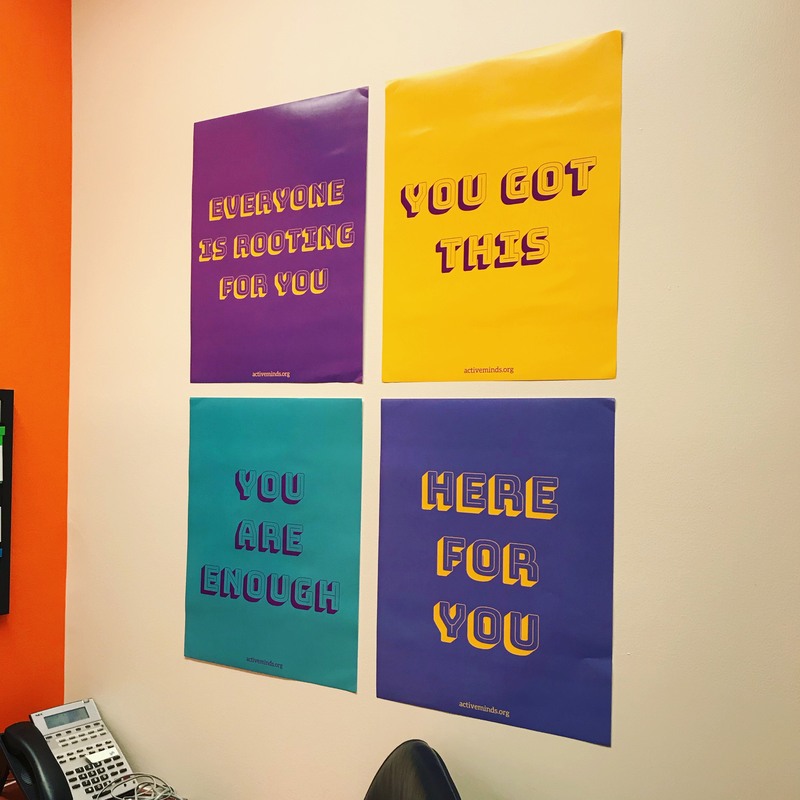 With four different designs and go-get-em’ phrases, these posters are great conversation starters. 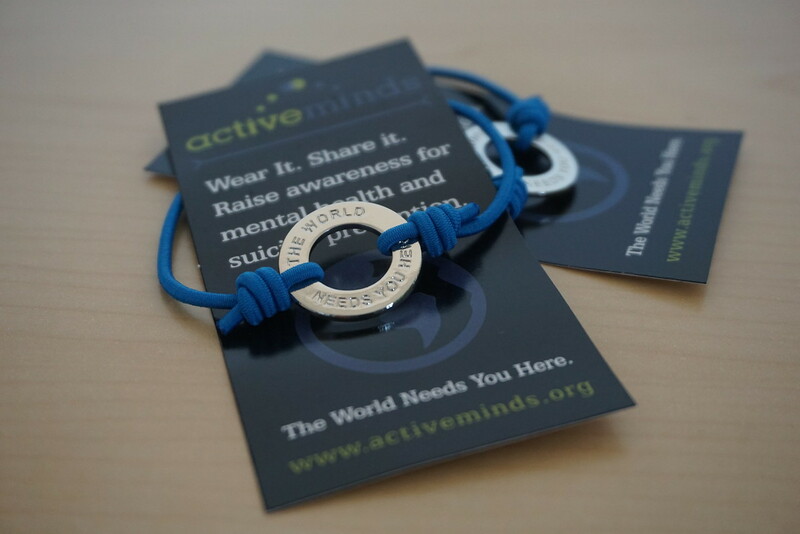 Buy one or buy a bundle of 4 and spread the power of positive energy. All you need is a few pieces of tape. Poster size is 16 x 20. 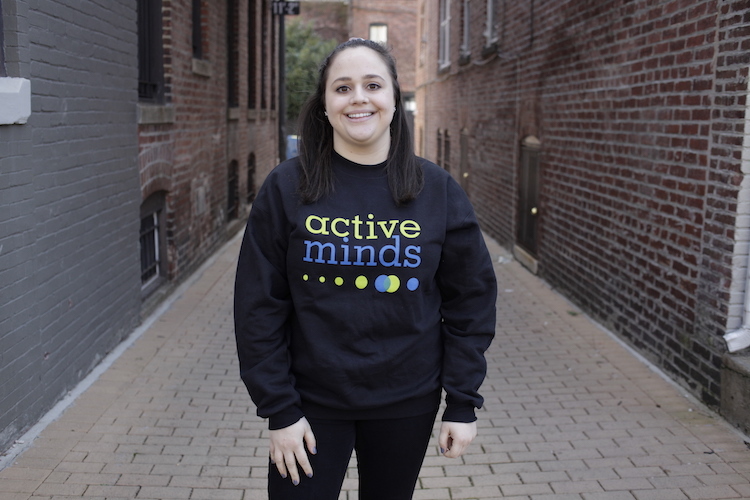 Stay warm and show your support for Active Minds by adding this black crewneck sweatshirt to your wardrobe. 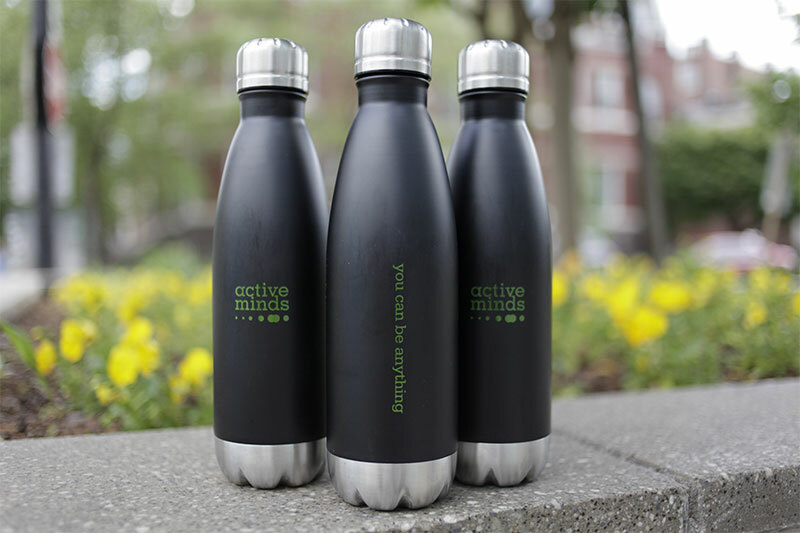 The classic design features the Active Minds logo on the front and sports a plain back. Unisex sweatshirt. Gildan heavy blend. 50% cotton. 50% polyester. 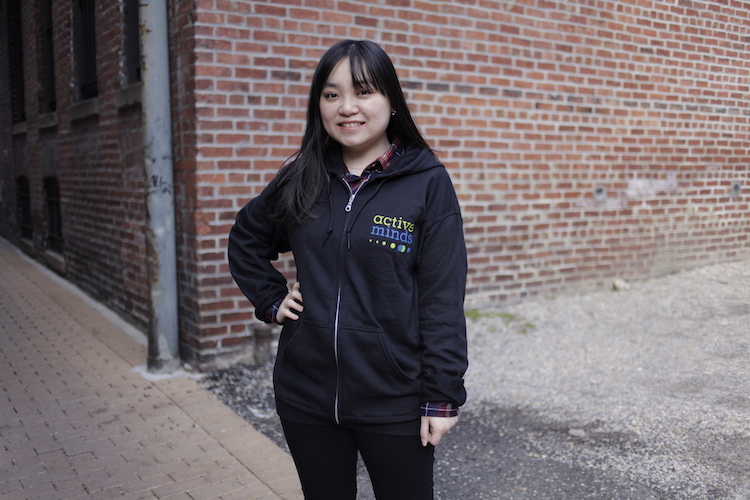 Stay warm and show your support for Active Minds by adding this black Zip Hooded Sweatshirt to your wardrobe. 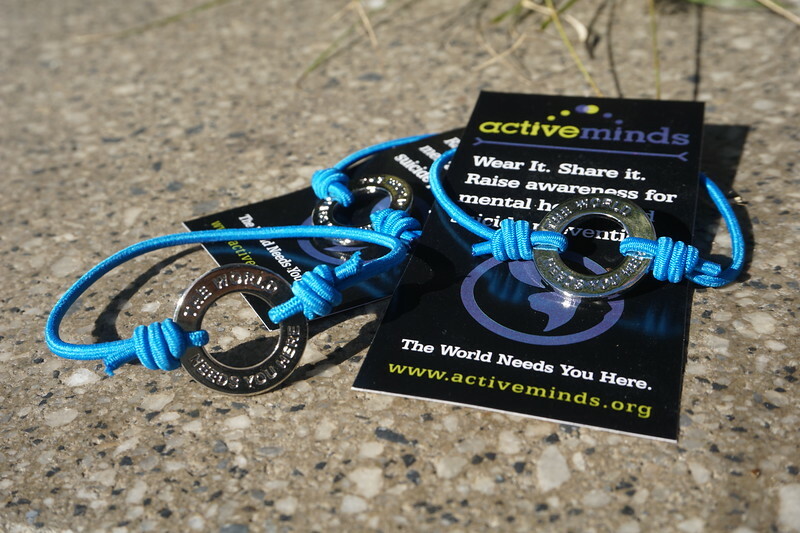 The classic design features the Active Minds logo on the left chest and sports a plain back. Checking in on a someone you care about doesn’t have to be awkward. 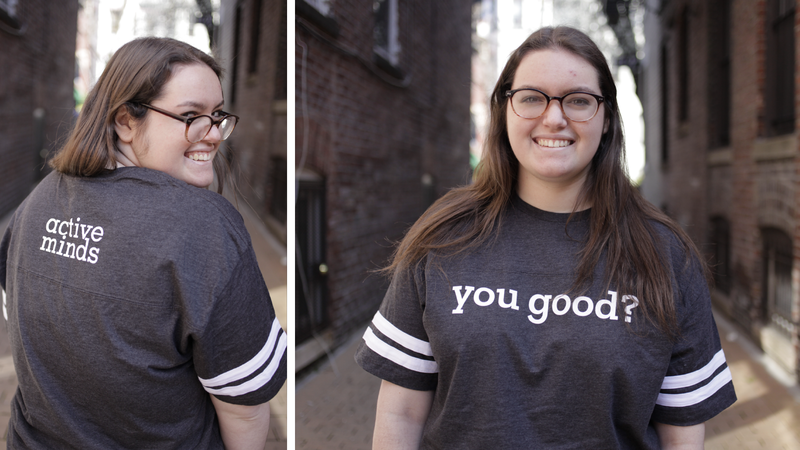 It can be as simple as asking, “You good?” Wear this super soft,Vintage Smoke / White Football Jersey Tee around campus, at the gym, or to the supermarket, and you’ll be surprised how many people will jump at the chance to be heard. Checking in on a someone you care about doesn’t have to be awkward. 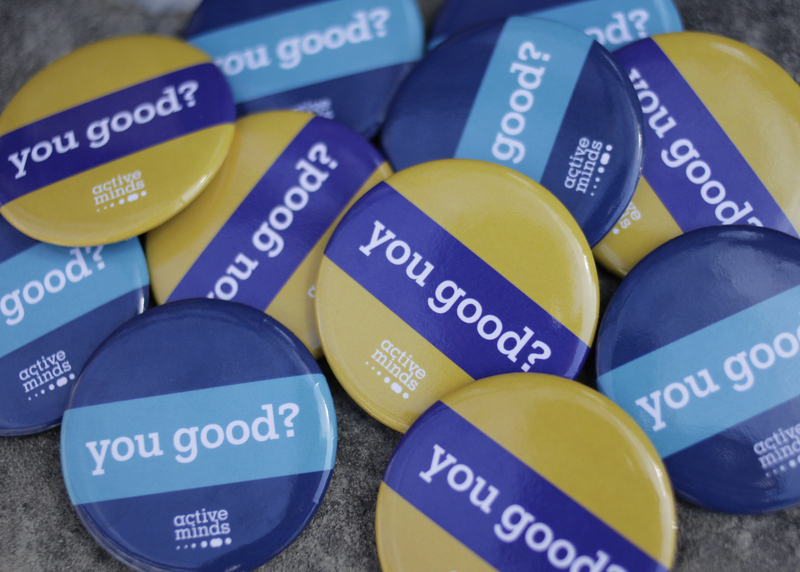 It can be as simple as asking, “You good?” These buttons are perfect for backpacks, fanny packs, t-shirts, jean jackets…you name it. 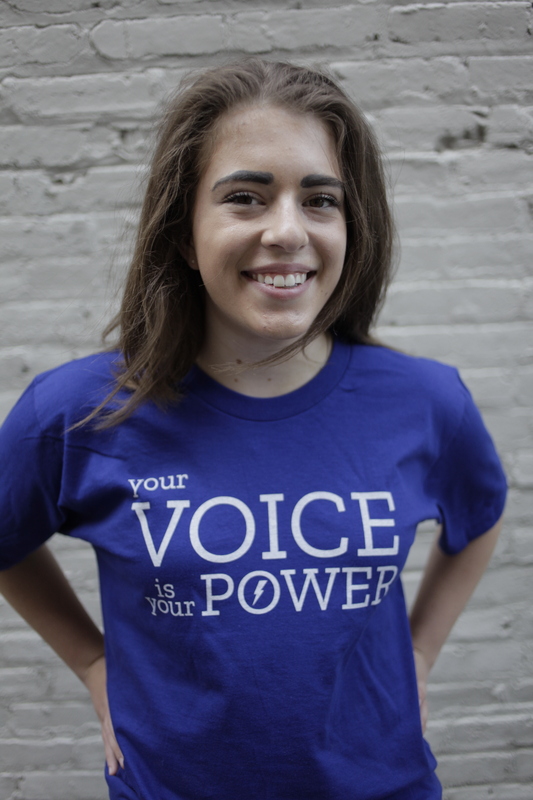 Wear it proudly or gift to a friend, and you’ll be surprised how many people will jump at the chance to be heard. Keep track of your phone and your wallet using this beautiful and functional phone wallet. 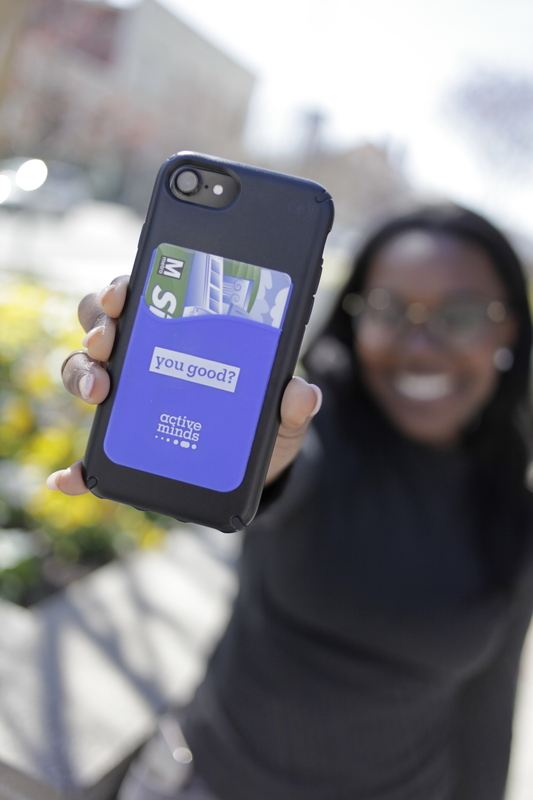 Part of our “You good?” product series, this phone wallet is a subtle but powerful way of saying, “I’m here, and I’ll listen.” Plus, you’ll have your phone and your cards at the ready whenever you need! Everybody loves a good pop socket! 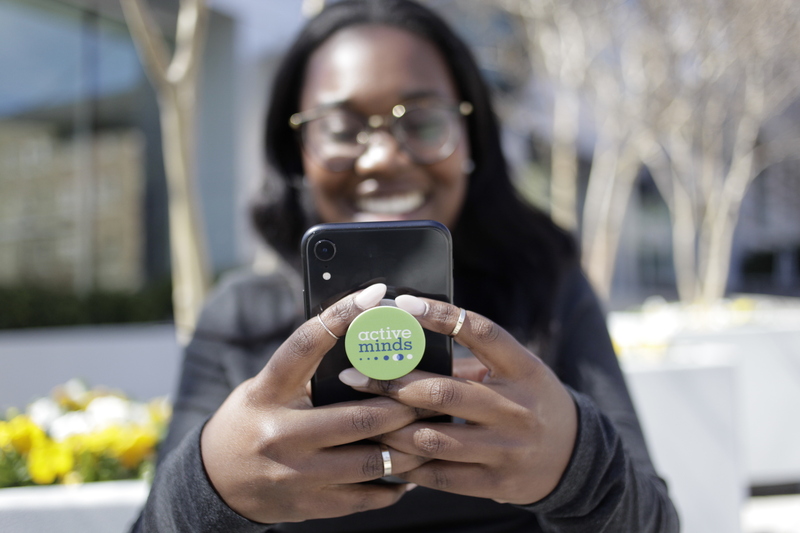 Functional and fun, these popsockets are the perfect opportunity to show you’re an Active Minds supporter and a proud mental health advocate. Throw on this comfy muscle tank and you’re ready to hit the ground running. 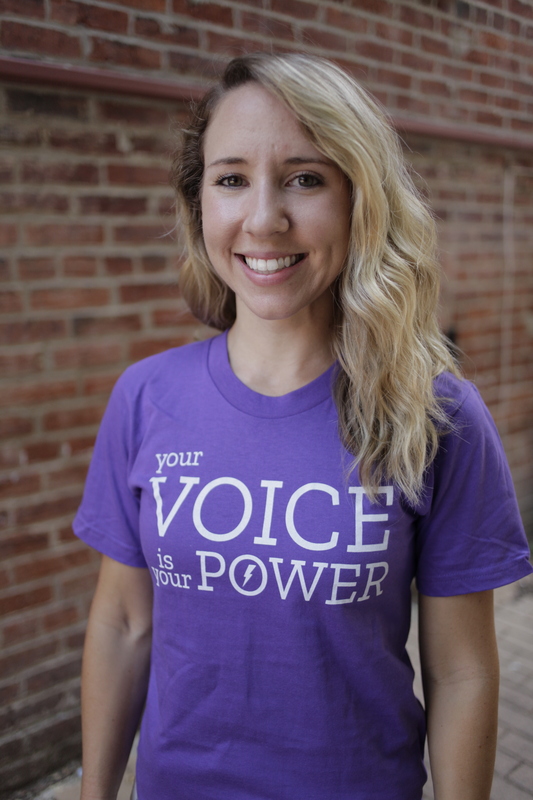 One glance in the mirror and you’ll see a powerful five-word reminder: Your voice is your power. 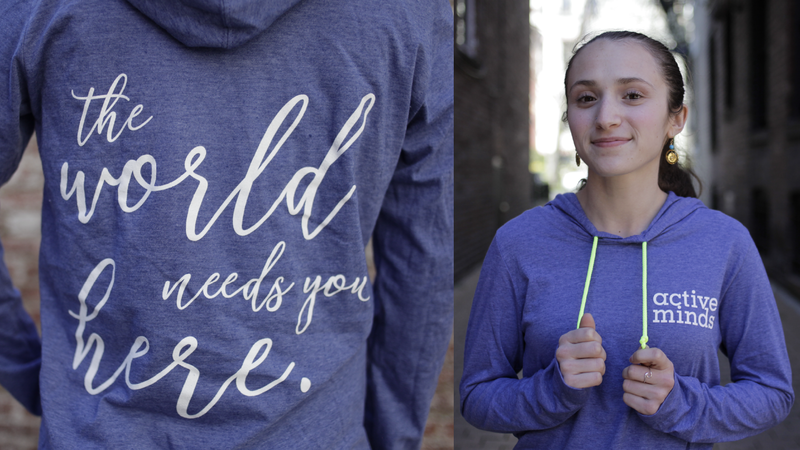 This super soft, bright blue, lightweight hoodie features neon accents and a message everyone should hear. 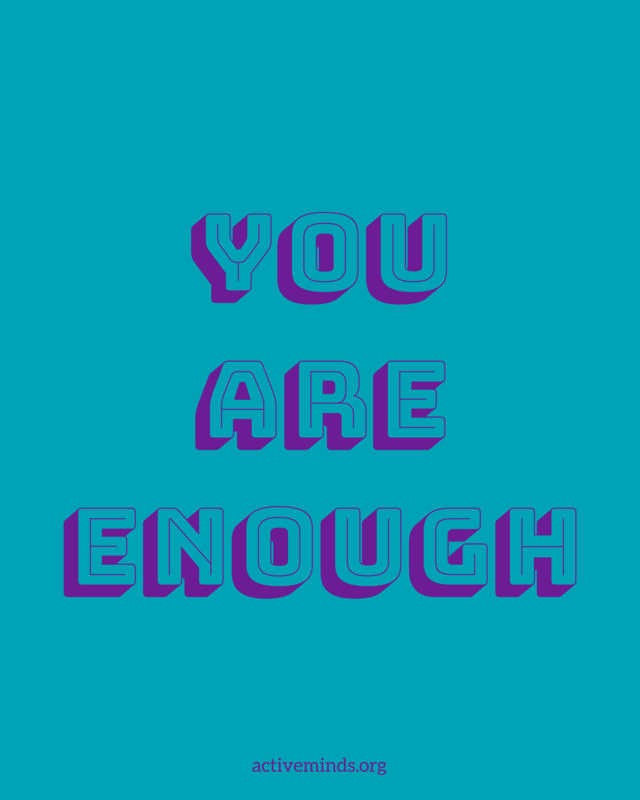 Perfect for spring outings, we encourage you to throw it on whenever you need the reminder: The World Needs You Here.